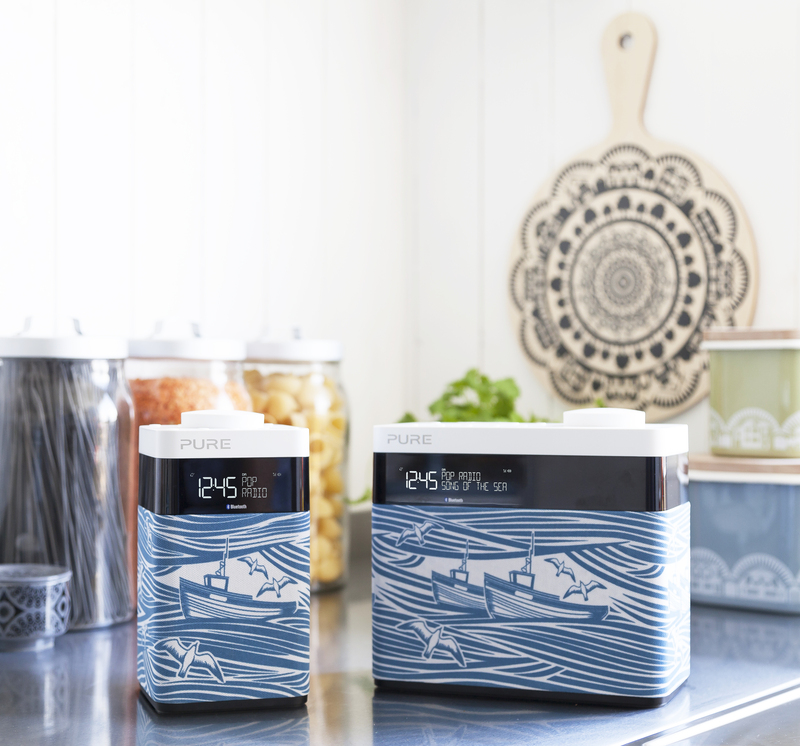 We are incredibly excited to have been working with PURE to create the very first Mini Moderns digital radio. When we started work with them some time ago we thought it was a dream project – but the dream is now a reality and will be in the shops in July. The collaboration was as a bit of a surprise to us – beginning as a conversation between Ideal Home’s Girl About Tech, Amy Cutmore and PURE’s PR manager Vicky Hewlett. Amy had been an admirer of our work for some time and planted the idea of the collaboration. The process from our first conversation with Vicky, was so seamless we can hardly believe it happened so efficiently and quickly. The resulting radio features one of our best selling prints, Whitby, across two sizes of PURE’s award winning POP digital radio – midi and maxi. Mini Moderns fans will already know the story of our Whitby design. Inspired by 50s linocuts in style, it features the North Yorkshire fishing port where Mark and Keith of Mini Moderns spent their childhood holidays. As well as the look of the radio – there are some amazing technical features that PURE have been developing with the new Pop range. The Pop collection comes with Bluetooth connectivity so you can also connect your smartphone, tablet or other Bluetooth-enabled device and play music through the stereo speakers wirelessly. The range also has digital and FM radio tuners. Including10 presents, two alarms, a kitchen timer and an auxiliary input to connect an audio source by wire. A Pure ChargePAK can be added instead of batteries so you can recharge it. 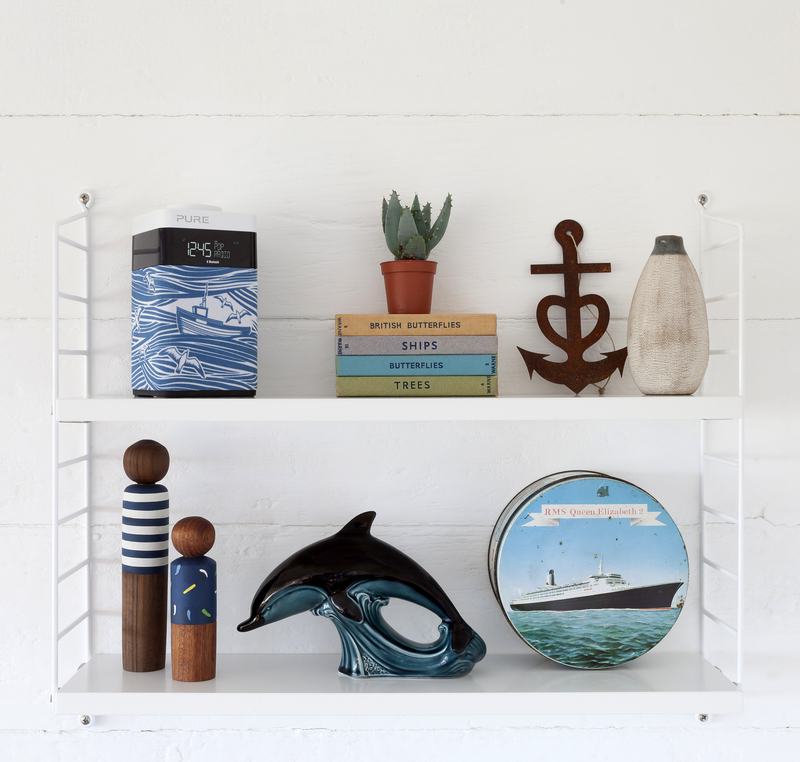 Aren’t the photos by Chris Snook of our radio in the Mini Moderns beach house also beautiful? Prices are £89.99 for the Pure Pop Midi and £109.99 for the Pop Maxi. 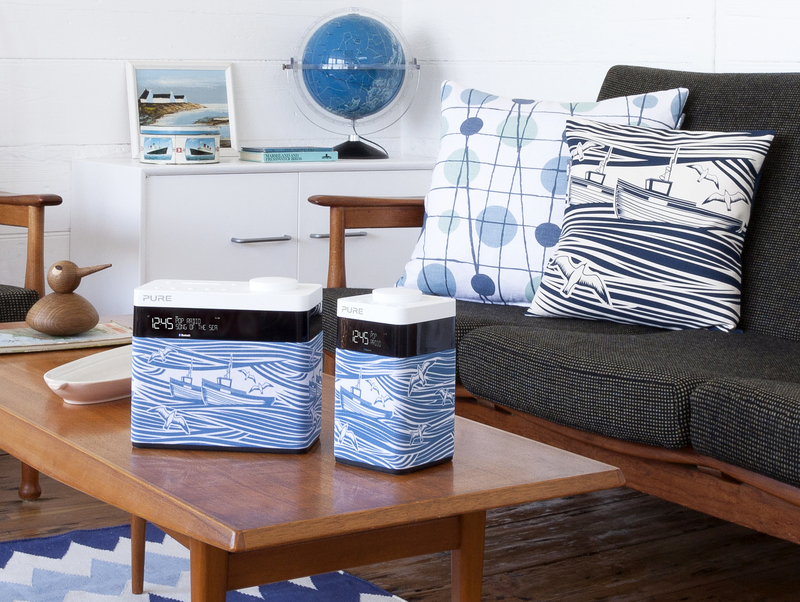 Available in July pure.com, John Lewis stores and at minimoderns.com.